Great opportunities can come in such unexpected ways - and that is very much the case with one of my most recent projects! I met Vanessa Bertels, an interior designer here in Holland, at a Christmas party for my church and we immediately bonded over good design and our mutual love of Annie Sloan chalk paint. Over glasses of wine and the din of jazzy Christmas songs and conversations, Vanessa soon told me about a project she was working on, and invited me to join her! A few weeks later I was meeting with the women whose space Vanessa was in the process of designing. Christel and Mieke work for a respected Christian counseling network in the Netherlands called Eliagg, and were excited to finally take the step to have their own space to meet with clients. They showed me their beautiful office - a space filled with natural light and a color palette of rich jewel tones. My task was to incorporate these colors into a floral painting for an accent wall. This wall would be central in the waiting area, something clients would see before their appointment. Christel and Mieke shared their hope that the wall would be colorful, yet soothing. Full of whimsy, yet holding a classic beauty. 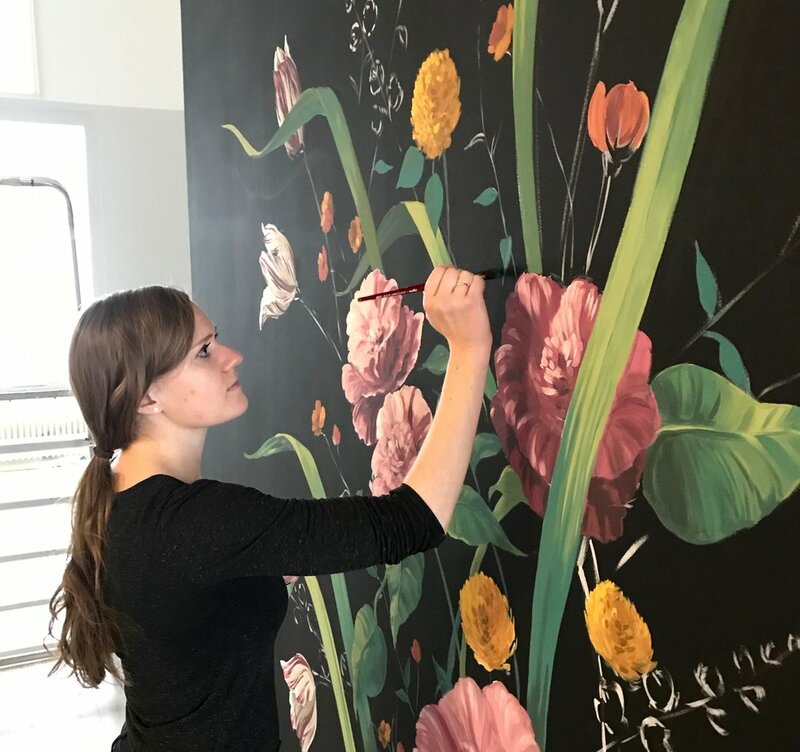 I drew inspiration from some floral paintings by Dutch masters, including the lovely striped tulips that are such an icon for the Netherlands. Painting this mural was such a fun project, and I loved getting to interact with the women who own the practice and hear their stories. I was so encouraged that they, along with Vanessa, would be willing to support and encourage me in my work, and to provide this special opportunity for me. 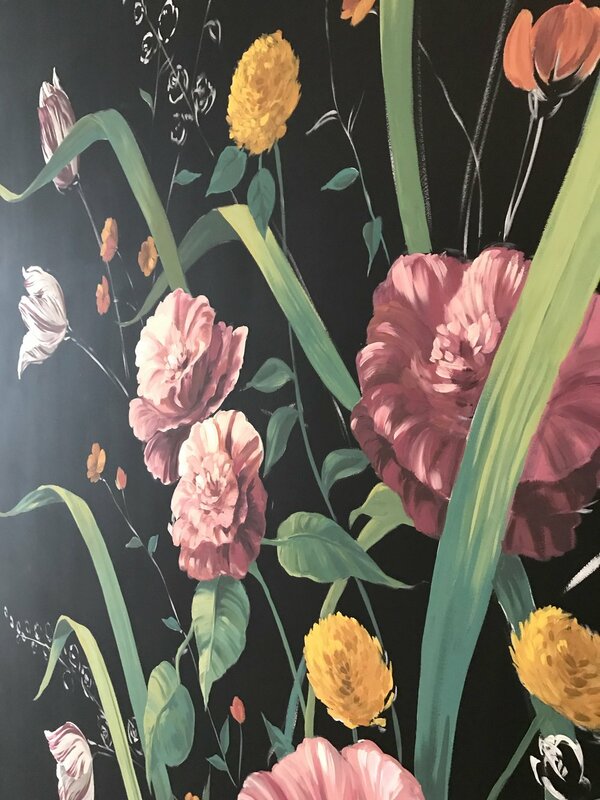 Enjoy a few images of the mural! I’d love to do more of these! Ps. You can find Vanessa’s interior design work here!